/ Do Smart Drugs Have Side Effects? Do Smart Drugs Have Side Effects? Our brain means everything to us. It controls how we think, our intelligence and the physiology of the body. That is not all. It also controls memory, intelligence, creativity, and emotions. But reports have it that humans are only using a small percentage of the brain’s computing power and ability. So, if you were told that you could harness the full potentials of the brain to stand out in your exams and among your pairs, would you not accept it? That is what smart drugs help users to achieve. The idea behind these drugs is to improve brain power, memory, and increase productivity. In this post, we shall provide answers to the question; do smart drugs have side effects? Read on! Nootropics or smart drugs as they are fondly called are believed to be safe and effective. It is believed that they do not cause severe side effects, though extensive research on the possibility in humans is not yet available. Notwithstanding, there are factors that can trigger severe side effects for those using smart drugs. Some factors can cause side effects through these cognitive enhancers. It is advisable to use nootropics only when the need arises unless stated otherwise. You can take when you have a major project or a tight deadline to meet and need the brain to function at its peak. Using them often can cause negative side effects. There will not be enough time for the brain to restructure itself. So, you can use smart drugs without side effects. And this is based on the frequency of usage. Most users start with a higher dosage, while others do not read instructions and guidelines on how to use these nootropics. Some increase their dosage to a higher amount without considering if there might be repercussion. It is better to start with a minimum dosage and after some time you can increase as time progresses. One of the issues that need to be addressed is an overdependence on the drug. Because they are effective, we tend to take them often. This gets to a point where we cannot do with them. Smart drugs as said earlier, are not meant to be taken for a prolonged period of time. That is, you only take them when you need to boost cognition. They stimulate and enhance the function of the brain for a short period of time, maybe for hours. Below are side effects of using nootropics or smart drugs over a prolonged period of time. As earlier stated, you will get used to taking nootropics to boost cognition over prolong usage. Your mind will not be able to function at full capacity unless stimulated with a smart drug because you are used to it already. The brain controls everything you can think of and it has certain chemicals in a specific amount. Each chemical is meant to create their own effect. But the issue is using nootropics in a way you are not supposed to can alter this balance. And there could be serious consequences when this happens. The brain functions by sending and receiving signals from different parts of the body. And smart drugs can also accelerate the rate at which these neurotransmitters function. Taking them over a prolonged period can lead to a breakdown of our neurotransmitters faster. So use smart drugs only when the need arises not when you do not need to boost cognition at the time. There are certain smart drugs made with natural ingredients. These drugs only cause minor side effects, so you are safe to take them. This is one of the finest smart drugs you can get without breaking the bank. It is made by prominent neuroscientists and has almost zero side effects. 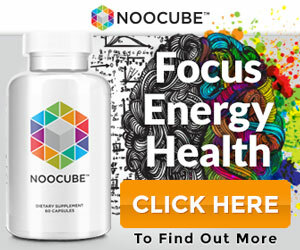 NooCube is made of vitamins, unique blend of amino acids and other vital building blocks that help to promote brain health. 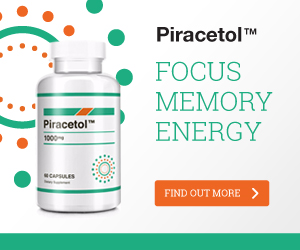 Piracetol is another safe and highly effective smart drug. It is made with natural ingredients and is caffeine free. You will find natural ingredients like Huperzine A, an extract from the Chinese club moss plant that is so beneficial for brain health. It is best to find out about the ingredients used in making a drug before taking it. There might be certain ingredients you are allergic to and this might lead to problems. There are smart drugs that are safe to take. They are made of natural ingredients and do not cause side effects. Your main focus should be to find the best nootropics to get the benefits of these cognitive boosters.